An exceptional country estate on a huge, elevated plot with beautiful countryside and sea views. This considerable property disposes of numerous outbuildings, stables and further constructions, which require modernising, plus a substantial Manor House. Situated close to the village of Sant Llorenç des Cardassar - Manacor there is a great potential to develop the properties and use the land for agriculture or leisure. Furthermore there is a private hunting ground. 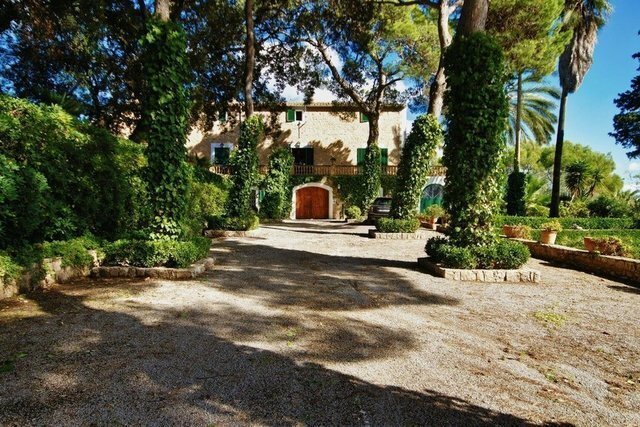 This magnificent estate is ideal for Tourism or leisure proyects (hiking, climbing etc.) or a person requiring seclusion and security with ample family and staff accommodation. The Manor House has many beautiful 19th Century features, spacious rooms and terraces with marvellous countryside and sea views. The property is on three floors and consists of entrance hall, living room, library, with fireplace, kitchen, dining room, ten bedrooms and nine bathrooms plus additional self-contained apartments. In addition there is a splendid Finca with pool, and various stables and outbuildings that can be converted into living or alternative leisure facilities. Surrounded by extensive fruit, vegetable and Mediterranean gardens, the land is being cultivated, but has great potential for further activity, hunting, working with livestock, horses or possibly in the production of Almonds and Olives and also lends itself to a future shooting estate. Close to the charming town of Sant Llorenç des Cardassar, Manacor, numerous golf courses and the enchanting east coasts of Mallorca.